Developed, under consultation with Occupational Therapists, to assist the child who has poor visual motor coordination; lacks the strength to complete a cutting action; has a tremor and cannot place the scissors at a given starting point; has poor background/foreground differentiation. Ideal for learning the opening / closing action of scissor skills. The child places his/her fingers through the loops furthest from the blade, whilst the adult places their fingers over the child's hand and through the loops nearest the blade to assist with placement, guidance and strength for the cutting action. 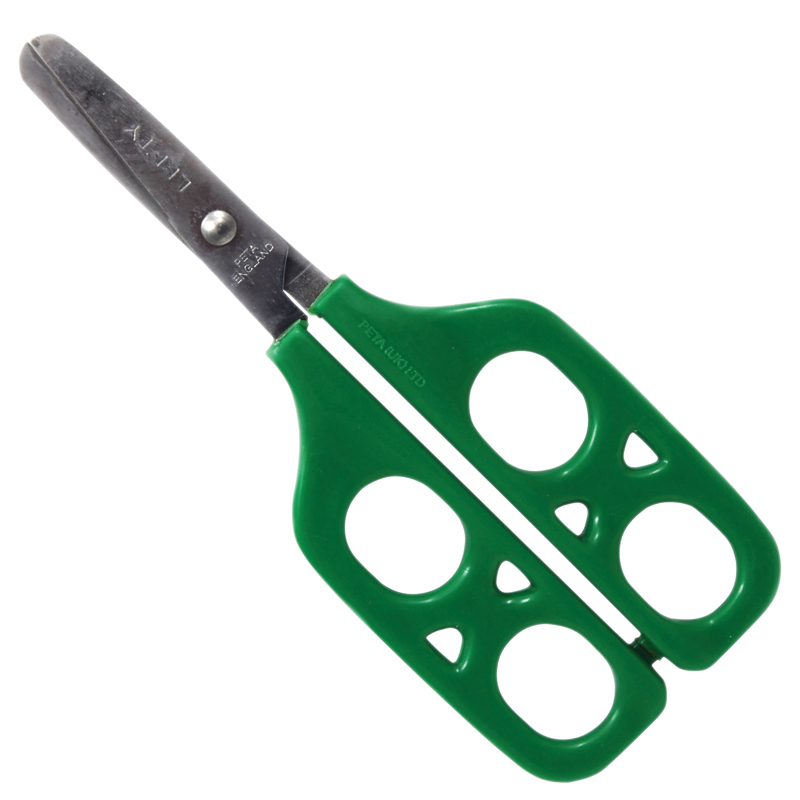 Double looped handles allows child and adult to simultaneously complete the cutting action; Comfortable grip given by wide finger contact area; Color-coded handles easily identify whether for right hand (blue), or for left hand (green); Stainless steel blades with guaranteed secure fixing to handles; This item has CPSIA certification. Recommended for: Weak Grip, Poor Hand Control, Visual Impairment, Tremor.